New business owners may want to have the convenience offered by business credit cards for new business but have trouble finding them. When a business is new, the owner may have trouble getting approved for a business credit card because the business has not been open long enough to have established a good credit history. An alternative to business credit cards for new business is the business debit card from Bento for Business, which may offer you the freedom that you need while providing numerous additional benefits. Business owners may have trouble gaining approval for credit cards for several reasons. Many credit card companies are unwilling to approve new businesses for credit cards until the businesses have been open for several years. Business owners may also have problematic personal credit histories, which can prevent them from being approved for credit cards. Even if business owners are able to gain approval for business credit cards, they might find that the cards come with high annual interest rates and fees. Bento for Business offers business debit cards for new business that are a great alternative. Since they are debit cards, approval does not depend on your credit. They are business debit cards, meaning that you will not be charged interest, and there are not any high annual fees. Businesses can select up to 10 cards for a low monthly fee of $29. If they need more cards, they can order more than 10 for an additional cost. Business debit cards may give businesses the flexibility that they need. 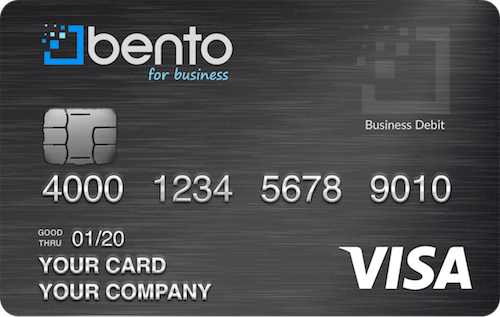 The cards from Bento for Business are Visa® so that your employees will be able to make purchases from almost anywhere. The cards can be used instead of petty cash systems, allowing you to rid your company of a common source of employee thefts. Since the cards are not branded, they are not tied to a particular chain of stores. This can help your employees to shop around for the best prices so that you can keep your spending within your budget. When you are approved for your Bento for Business debit cards, you simply deposit funds into your account. From your account, you can allocate how much money you would like to add to each card. Business owners are able to set limits on how much can be spent on each card by the day or the week. You can also limit the types of items that can be purchased with the cards. For example, your office manager might be limited to purchasing office supplies and be prevented from trying to purchase other items. If the office manager attempts to purchase something else, the transaction will be immediately denied. When you use the debit cards for your business spending, you can help to prevent employee fraud, control spending and manage and track your expenses more effectively. 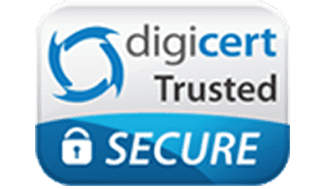 With Bento for Business, you can enjoy the peace of mind that is afforded to you by knowing that we use the strongest SSL-encryption technology that is available to keep your money safe. Funds held within Bento are FDIC-insured to at least $250,000 through The Bancorp Bank; Member FDIC. We offer free 60-day trials. Get started with yours today now or call us at 866.220.8455.